Let's 3D print flexible materials! Are you looking for a way to manufacture flexible objects? 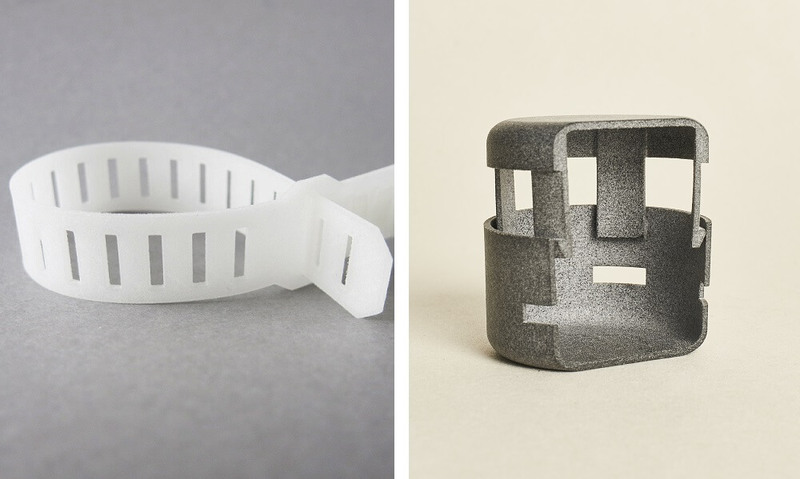 Do you that you can use additive manufacturing technology for these projects? By using 3D printing you will have several possibilities to create your flexible parts. Are you looking for rubber-like material? Or a part slightly flexible? Is this object meant to resist to stress? Yes, you might not know it, but 3D printing is already offering great possibilities when it comes to flexibility. Sculpteo’s 3D printing service is offering you some great possibilities to 3D print flexible parts, let’s see what kind of 3D printing material you could use, and some examples of projects you could create using them. Let’s 3D print flexible materials! What are your possibilities when it comes to flexible 3D printing? What is PEBA material? 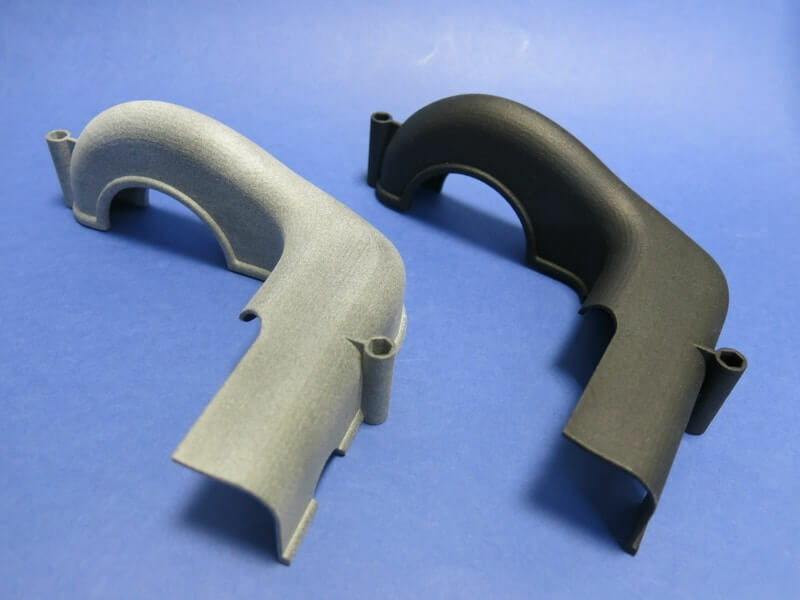 PEBA is a plastic material, but a little bit different than hard plastic materials we are used to working with in the additive manufacturing industry. Indeed, it is a rubber-like material, it is flexible but also quite resistant, which makes it quite an interesting material. It can totally resist to stress and fatigue. PEBA 2301 is great for both experienced professionals and beginning designers because of its high precision and low cost. Unpolished, the material is white, granular, and somewhat porous. Do you want to try it out? Upload your 3D file and try to print your PEBA parts right now using our online 3D printing service. Get an instant quote and receive your 3D printed objects in a few days. In order to use this technology, the minimum wall thickness for your 3D design should be 1.5 mm. The MultiJet Fusion PA12 is a resistant material, but it also allows for flexible parts. While it is not a rubber-like material like PEBA, this material is definitely more solid. But if you get to print your parts thin enough using this plastic, you could totally get flexible parts. Keep in mind that this material is perfect for both prototyping and production. For prototyping, the raw Multi Jet Fusion PA12 material is actually the cheapest option you will find on our 3D printing service. For production, the finishing that we are offering allows getting a really quality finish for your end-products. In both cases, for a functional prototype or a finished product, your project might need flexible parts. The minimum wall thickness to get a flexible part is 0.6 mm. If you design your part with a thinner wall thickness, you part might break when coming out of our 3D printers. Following the design guidelines will allow you to get an optimal result and avoid 3D printing errors! 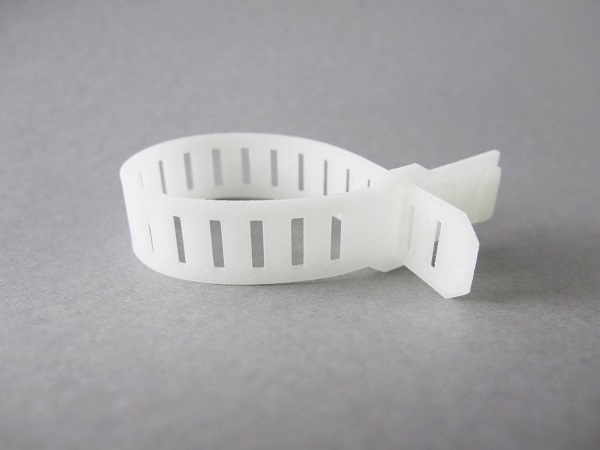 Same as for the MultiJet Fusion 3D printing material, you can use this material to produce a slightly flexible parts. For this 3D printing Nylon PA12 plastic material, the minimum wall thickness to get a flexible part that will not break is 0.8 mm. Keep in mind that at 2 mm the part will be rigid, MultiJet Fusion PA12 and Nylon PA12 are not rubber-like materials. Using a desktop 3D printer, you could also use a flexible filament in order to manufacture your parts. 3D printing with flexible filaments using the FDM technology could be a solution for you to make some rapid prototyping. What can 3D printing flexible materials can be used for? You could need to 3D print flexible part in order to connect to parts. Indeed, you could certainly glue your components but designing flexible parts will help you reduce your assembly time. Do you want to create 3D printed joints? Follow our tutorial to learn how to make 3D printed joints and snap fits in order to connect two parts. See how you could create these design features by yourself! As the MultiJet Fusion PA12 material is both strong and flexible, our professional designers chose it to create several joints and snap fits possibilities. 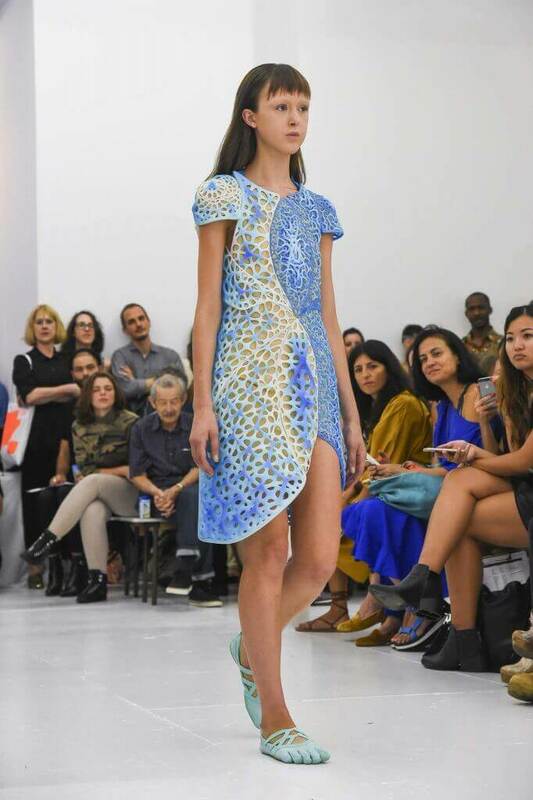 A 3D printing material like PEBA can be used by the fashion industry for example. Most of the time, designers 3D printing clothes are using flexible materials to get parts responding to the movements of the body. For example, this following dress is made by the American designer Travis Fitch, with at least 30 different sections. It has been 3D printed using a flexible colorful multi-material. A few years ago, at Sculpteo, we 3D printed a clothes collection with the designer Anastasia Ruiz, the “Virus Collection”. 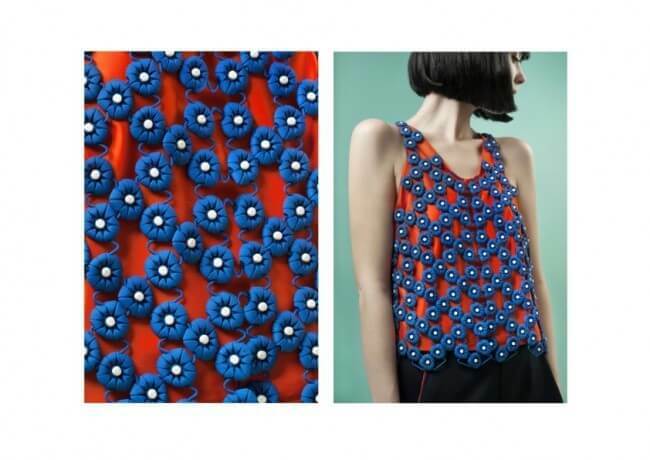 More than flexible materials, in order to get wearable clothes, you will need to get specific designs for your 3D models in order to create innovative articulations and this Virus collection is actually showing it quite well. Here is another example of the use of flexible materials in the fashion industry: The famous shoemaker Adidas is also using 3D printing to create soles for the Futurecraft 3D, a pair of running shoes. For this 3D printed sole project, they had to use flexible material, as a shoe sole has to be a little rigid, but still a little bit flexible, as it has to be wearable. Have you already used 3D printing flexible materials? What are your thoughts about it? Share your experiences with us in the comments! If you want to start and create your project using flexible parts. Tell us if you prefer to use 3D printing filaments or professional 3D printing technology such as SLS or MultiJet Fusion. Don’t hesitate and start to upload your 3D files on our 3D printing service right now! Also, do you want to know more about the multiple applications of additive manufacturing, materials properties or get advanced design tips and increase your 3D printing knowledge? You can subscribe to our newsletter!